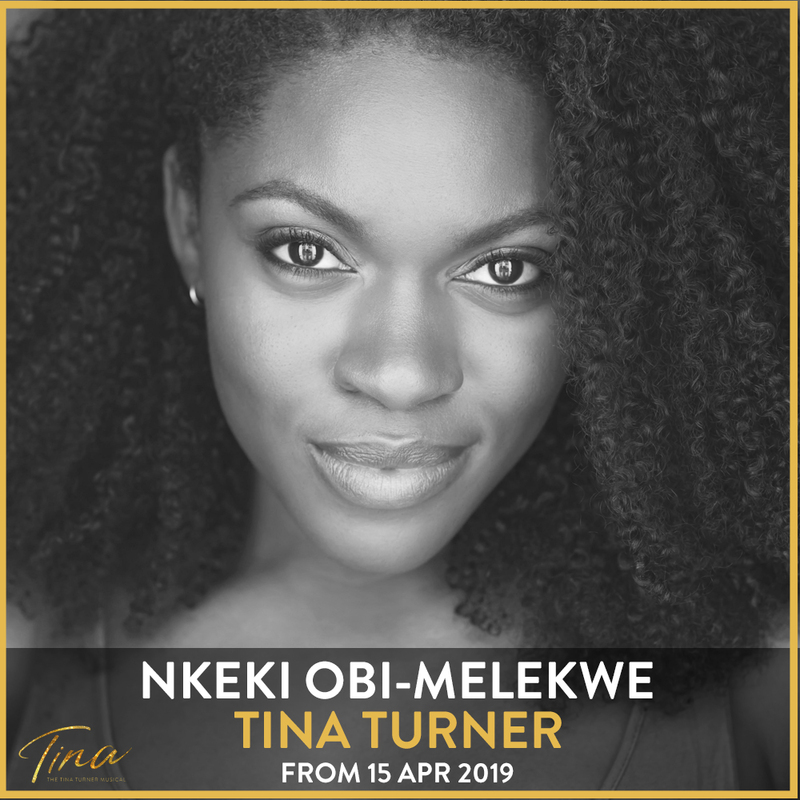 We are delighted to welcome Nkeki Obi-Melekwe to London who will join the West End production from 15 April 2019 to play Tina Turner, the iconic Queen of Rock ‘n’ Roll. Joining the Company from the same date will be Ashley Zhangazha as Ike Turner. Adrienne Warren, who has played the title role in London since the show’s world premiere, will lead the Broadway production opening in Autumn 2019. A 2018 graduate of the The University of Michigan’s School of Music, Theater and Dance, Nkeki Obi-Melekwe will make her West End debut in the title role. She made her professional off-Broadway debut last month in Alice by Heart at Robert W. Wilson MCC Theater Space. Her television credits include Smilf for Showtime and Bull for CBS. Ashley Zhangazha was last on stage in Death of a Salesman at the Royal Exchange in Manchester where he also appeared in Hamlet and Guys and Dolls, for which he won Best Performance in a Musical at 2018 UK Theatre awards. His other theatre credits include Henry V and Fences in the West End, Pericles and Danton’s Death for the National Theatre, A Raisin in the Sun and Macbeth (for which he won the Ian Charleson Award) at the Sheffield Crucible, Terror for the Lyric Hammersmith, Ah, Wilderness! for the Young Vic, Human Animals, Belong and Truth and Reconciliation for the Royal Court and Richard II and King Lear at the Donmar Warehouse. His television credits include Victoria II, Humans and Ordinary Lies. The second year Company will begin performances on 19 March 2019, with Nkeki Obi-Melekwe (Tina Turner) and Ashley Zhangazha (Ike Turner) joining the following month. Aisha Jawando will play the role of Tina at some performances each week, Irene-Myrtle Forrester will play Tina’s Grandmother GG, Howard Gossington will play Record Producer Phil Spector and Lyricist Terry Britten, Francesca Jackson will continue to play Ike and Tina’s manager Rhonda Graam, Jammy Kasongo will play Tina’s father Richard Bullock and Tina’s first love Raymond Hill, Edward Bourne will play record company Marketing Manager Erwin Bach and Oscar Batterham will play Tina’s Manager Roger Davies. Maria Omakinwa joins to play the role of Tina’s mother Zelma until 22 June 2019, when Madeline Appiah will rejoin the Company in that role. Final casting will be announced shortly. They are joined by ensemble members Daniella Bowen, Chloe Chambers, Joelle Dyson, Sia Kiwa, Lejaun Sheppard, Kibong Tanji, Cameron Bernard Jones who also plays Tina’s son Craig and Ashlee Irish who plays Tina’s son Ronnie and Joseph Richardson, and swings Gavin Alex, Derek Aidoo, Joshua Da Costa, Amandla Elynah, Hannah Jay-Allan, Angela Marie Hurst, Leisha Mollyneaux and Samuel J. Weir.